After creating a number of sample backgrounds I did some tests for the wing shapes. 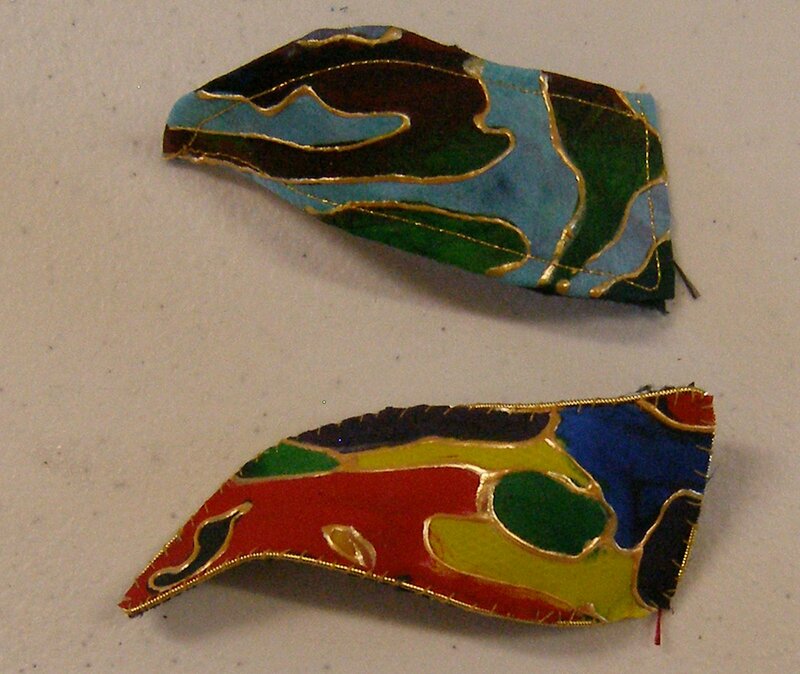 Below is the screen print on dyed silk background, and the acrylic painted background, both mounted onto Wireform. I used Wireform for the first time in one of the samples for Project 6 Manipulating Fabric and decided this would be an excellent material to use to create the curving form I wanted. This first photo shows the samples flat. And now curving the Wireform into shape. As well as testing the Wireform, I also tried different finishes on the sample. The top blue wing is machine stitched near the edge. It would have been nice to get the stitching closer to the edge but my machine wouldn’t handle this particularly at the tip of the wing which kept catching. In the lower sample I used some leftover Gilt Pearl Purl No 1 that I had from a Goldwork embroidery project. I used buttonhole stitch to hold this in place and sandwich the layers together. The buttonhole stitching looks messy and does not have the finesse of the Ancient Egyptian Jewellery inspiration so I need to find an alternative to that. 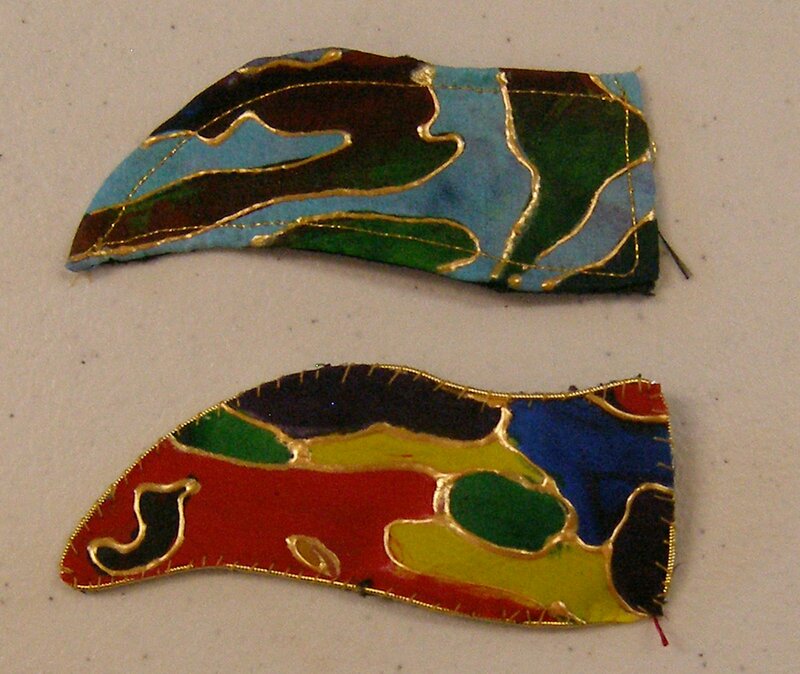 I also think the Goldwork thread needs to be thicker. I have looked at thicker threads and would ideally like size No 3 but it is simply too expensive for the quantity I need, so I am going to compromise and go for No 2 size as this is half the price of the No 3. I haven’t yet decided which colourway I am going to use, I will prepare some different samples for the supporting panels next and then audition the wings against the samples.